At the heart of VancouverJustListed.ca is the most powerful real estate search engine available for Vancouver real estate, including MLS listings. Until recently, this level of detailed listing information was only available to realtors. Now it's free to use, and there's no commitment. Signup now, and you'll get full access to new Vancouver area condo and house listings at the same time as Realtors, with no delays or filters. It takes just minutes! View detailed listing information of any property, including listed date, original and previous price, room size measurments, construction type, home style and other important data to help you choose the right home. 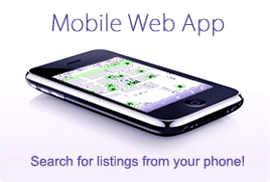 Save your searches, rate your favourite properties, and even add notes to the listings you want to follow up on. All of your house-hunting tools and information will be in one place, accessible from home, the office, or even through your web-enabled smartphone. If you're house-hunting with a partner, you can both add notes and rate your favourites. It's the perfect tool for busy couples, even if you can't always be in the same place at the same time. And if a listing changes or a new listing is added that meets your needs, you'll automatically get an email alert, so you know you'll always be among the first to know when the right place hits the market or drops in price so you can be the first in line! That kind of speed is essential in today's heated market! It's the best of both worlds: You control the search and only spend your time seeing houses you're really interested in. But you also get an experienced licensed realtor on your side when it really matters the most: Negotiating the best possible price, helping you navigate the home-buying process, and protecting your interests every step of the way. And since you're doing your own searching, we'll split our commission with you!